I loved getting to be a part of Andre and Kristin's wedding! They were so much fun to work with, and I loved their style. It's hard to beat a modern black tie wedding in San Francisco! How fun are the stripes? 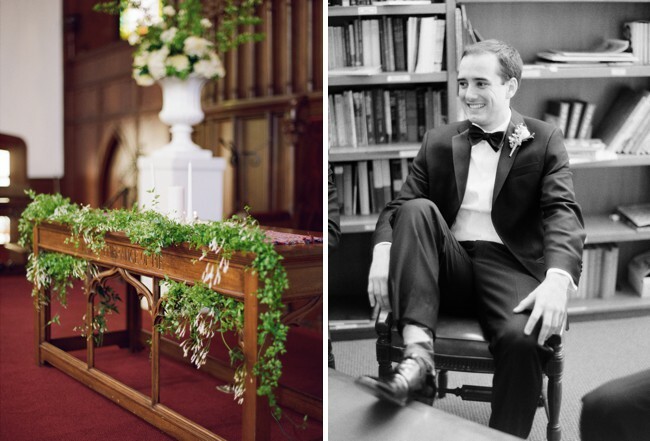 Their photos are some of my favorites too, largely for the different moments, like the shot of Kristin coming down the isle with her dad at the St John's church- or Andre's huge smile as he watches her approach. Shannon Leahy did an amazing job planning every detail of their day, infusing some French elements from Andre's heritage as well as a dose of fresh springtime. Michael Daigian's florals were perfect. And the dancing! These guys know how to get down, and David Martin House Party kept the dance floor full all night. Even more than all of the beautiful details and everything else though, it was just so obvious that Andre and Kristin loved every part of their wedding. This makes my job so gratifying to see and capture couples having the best day of their lives. Cheers! 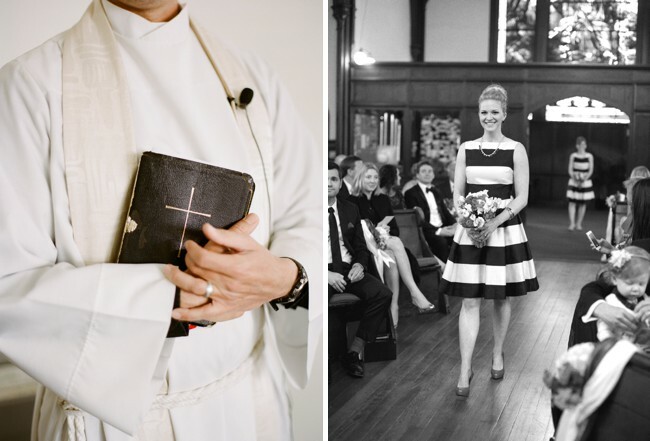 You can also see Andre and Kristin's San Francisco wedding featured on Style Me Pretty.